We cover the whole of the south of England and Wales, managed from three centrally located offices in Bristol, London and Exeter. 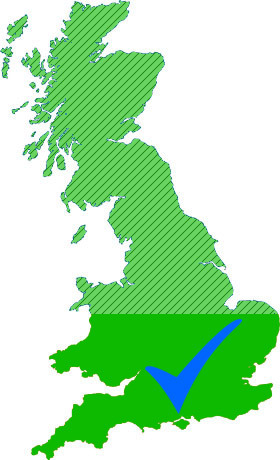 We regularly handle contracts in London, Guildford, Southampton, Bournemouth. See adjacent map for indication of coverage areas. You can also contact us using our contact form, or by email.